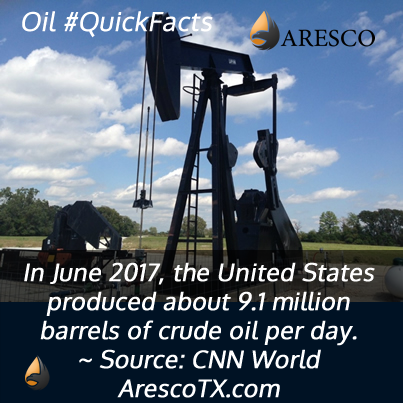 In June 2017, the United States produced about 9.1 million barrels of crude oil per day. 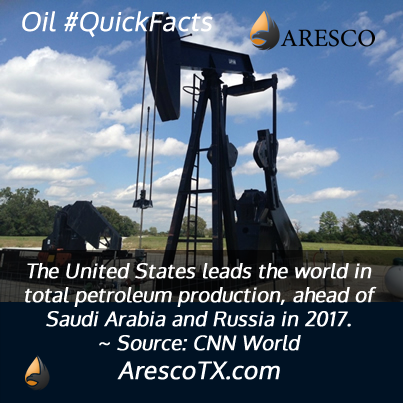 The United States leads the world in total petroleum production, ahead of Saudi Arabia and Russia in 2017. 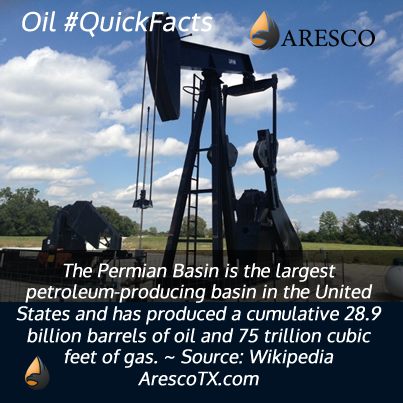 The Permian Basin is the largest petroleum-producing basin in the United States and has produced a cumulative 28.9 billion barrels of oil and 75 trillion cubic feet of gas. 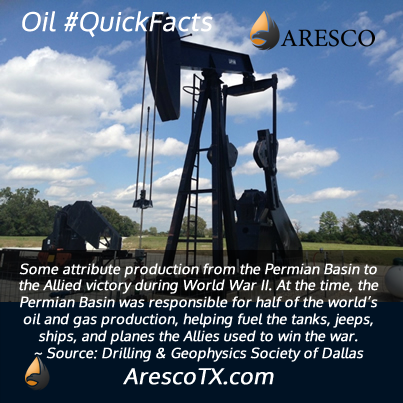 Some attribute production from the Permian Basin to the Allied victory during World War II. At the time, the Permian Basin was responsible for half of the world’s oil and gas production, helping fuel the tanks, jeeps, ships, and planes the Allies used to win the war. The United States is the world’s largest consumer of petroleum products. 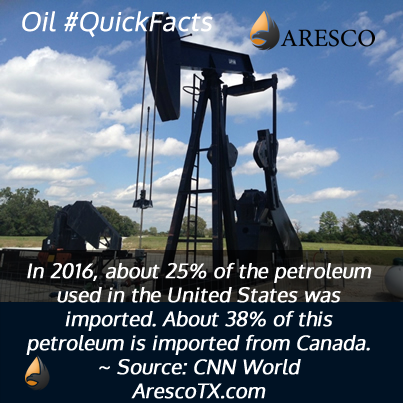 In 2016, about 25% of the petroleum used in the United States was imported. About 38% of this petroleum is imported from Canada. No discovery had as great an impact on Texas’ oil production than the discovery of oil at the Spindletop well located south of Beaumont. Spindletop brought in over 17 million barrels of oil in 1902 alone.